← “Escape FromTomorrow” at Sundance, but will Disney ever let it see the light of day? And almost to a one, each regarded this as the role of a lifetime, a dream opportunity, an iconic character who would, if nothing else, leave them set for life, financially, thanks to the most successful franchise in film history. But getting them all together in one movie to talk about their experience of the part, how their interpretation of the role fit their times, was nigh on impossible before “Everything or Nothing: The Untold Story of James Bond,” a terrific new “officially sanctioned” Bond history timed to help celebrate 50 years of Big Screen Bond. Stevan Railey’s is film more thorough than one could ever hope for, an accounting of Ian Fleming’s life as a writer and womanizer, the sometimes tortured production history of the Bond films and the agonies — feuds, what have you — amongst the producers, the Bonds themselves, the studios fighting for the right to this errant property or that one. The only person truly “missing” from the affair is the notoriously prickly Sean Connery, who quit the series twice, did “Never Say Never Again” with an outside producer just to tick off the people whom he felt had shortchanged him all through the ’60s. “Nobody could nurse a grudge like Sean,” his successor in the 007 role, Roger Moore, notes. So Connery is only present in old archival interviews. Fleming is discussed, more as a man than as a writer, by his descendants and those friends still living (Christopher Lee among them). Archival footage captures him in his glory, talking about the literary creation he so desperately wanted to be a film character. The history of the Broccoli and Saltzman families, which controlled the screen rights from the early ’60s until the late 70s (Saltzman sold out), is laid out. The ways “unofficial Bond films” came about is discussed, at length, with the opportunist who latched onto Fleming and won some claim to the rights of “Thunderball” profiled and skewered. And the Bonds speak. George Lazenby notes how ill-qualified and ill-prepared he was for the role he coveted so much that he invented acting credits just to get an audition. 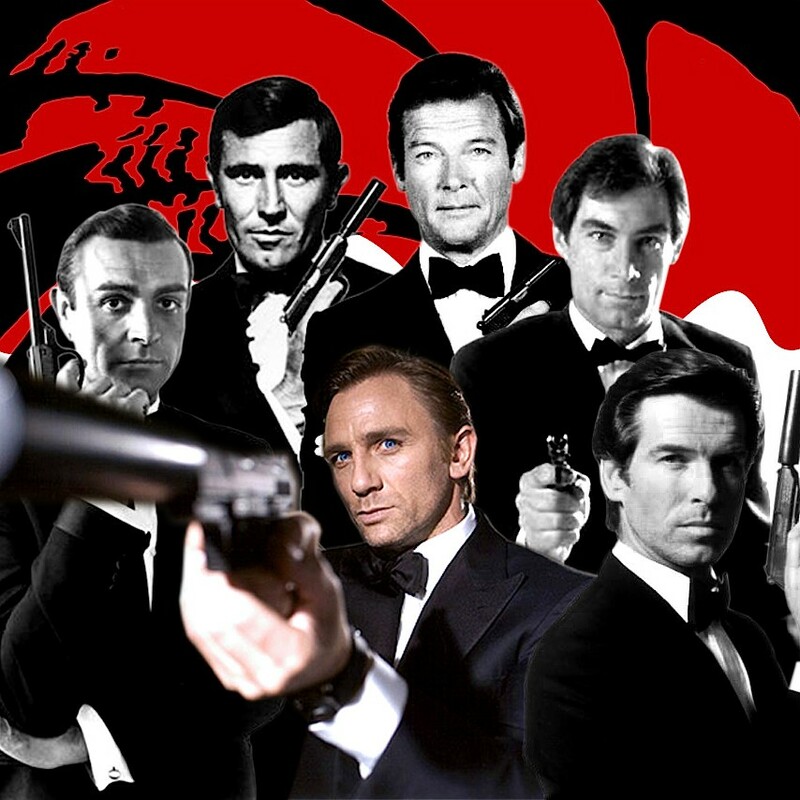 The ways he managed to blow the job — despite being a pretty good Bond — are explained. Moore’s decision to take the role in lighter directions, Timothy Dalton’s move toward the darkest Bond (pre-Craig) is discussed and Brosnan’s clever tack to the center — a funny man of action with a sadistic edge — are discussed, by the actors themselves. Daniel Craig and Sam Mendes (“Skyfall”) talk about Bond iconography, the Britishness of it all. And classic scenes and props are revisited — from the Aston Martin DB5 to that epic parachute ski-jump in “The Spy Who Loved Me” — iconic moments that kept the series going even in eras where Bond and his ilk seemed to go out of fashion. For all the “warts and all” nature of the money discussions here — a United Artists chief notes how the producers kept renegotiating their own deals for the series, even as they deigned not to give Connery a single shilling more than he was signed for originally — there are plenty of omissions. No surviving Bond villains were rounded up, more Bond women would have been a nice touch, and some talk with stunt folk, appraising the work that really lifted this action series to what it is today, would have been nice. Conspicuous in its absence — the non-“official” Bond comedy based on “Casino Royale.” “Everything or Nothing” — the title comes from the name of the production company Salzberger and Broccoli set up, known as EON (Everything or Nothing) Productions, perhaps still considers that the sorest of sore spots, despite their success in retrieving that property just in time for Daniel Craig to come on the scene. They landed Bill Clinton, a fan of the series. So if Brosnan, whom I know from first hand experience (a very testy interview post-Bond) was the bitterest Bond of all, can get over it and himself and be magnanimous and open about how he felt losing his dream gig, you have to figure everything you’ve ever heard about Connery’s temperament is true for his gracelessly declining to appear here. Still, it’s a terrific film, nostalgic and whimsical and informative and entertaining, a history not only of a spy novelist and his novels, but of the Cold War, fashions in clothes and cars, and how Bond, James Bond, has always reflected those on the big screen. He’s been an irresistible force for five decades, changing actors, directors and tones, shaken, but never stirred.